After the two May bank holidays, it is officially BBQ season, so in preparation for another weekend in the garden, we are bringing you five outfits that are just as good as the gourmet burgers. Personally, I will be re-creating Lucy Williams's midi dress and leather jacket combo come Saturday lunchtime and am eyeing up a floral printed co-ord thanks to a winning outfit below. Keep scrolling to see the summer looks that will make you even more excited for the weekend than you were already. 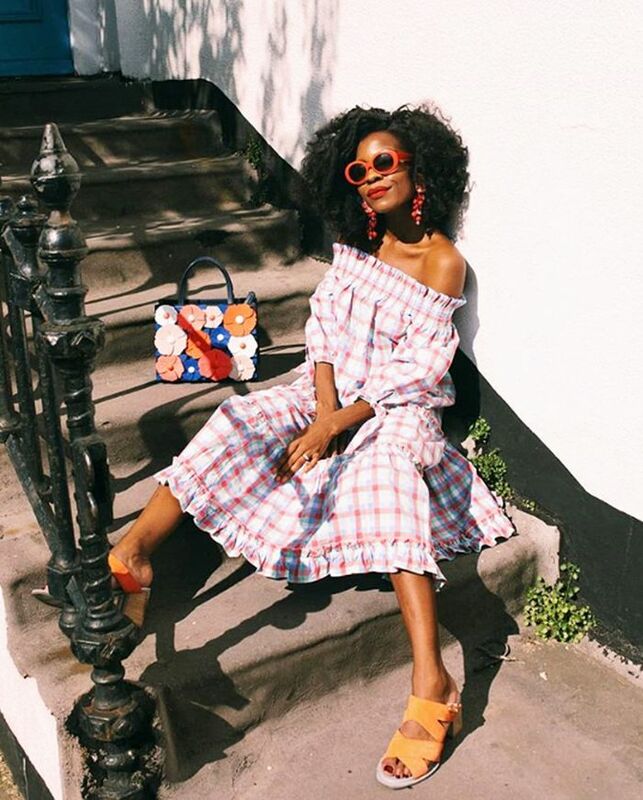 Style Notes: Freddie Harrel's colourful checked Kate Spade New York dress is perfect for a BBQ as it is loose, so you won't feel uncomfortable when you're four sausages down. We love her playful, colourful accessories too. Style Notes: We want to re-create Lucy's exact outfit. Her Ghost midi looks amazing with white simple pumps and a black biker. Her Next handbag will also fit in plenty of supplies when you get those inevitable WhatsApps through to say "I forgot the ketchup!" Style Notes: A co-ord is the perfect throw-on outfit for a BBQ, and we love how Celeste paired her sunny two-piece set with raffia sandals and a basket bag (and crisps). Style Notes: Pandora Sykes's Uterqüe gingham dress with its cute frilly skirt is perfect for a BBQ—just be careful when adding sauces onto your burger. Style Notes: When it comes to footwear, ASOS Lesley proves it's sometimes best to keep it simple and stick to classic trainers. For more outfit ideas, see our guide to the biggest trends for spring/summer 2018.